For the Allies, there was little reason for optimism at start of 1942. By the end of the year, the situation had changed dramatically. The Americans had scored a massive naval victory at the Battle of Midway, the Russians had triumphed over the German Sixth Army at Stalingrad, and Montgomery’s Eighth Army had defeated the Italians and Rommel’s Afrika Korps at the Battle of El Alamein. 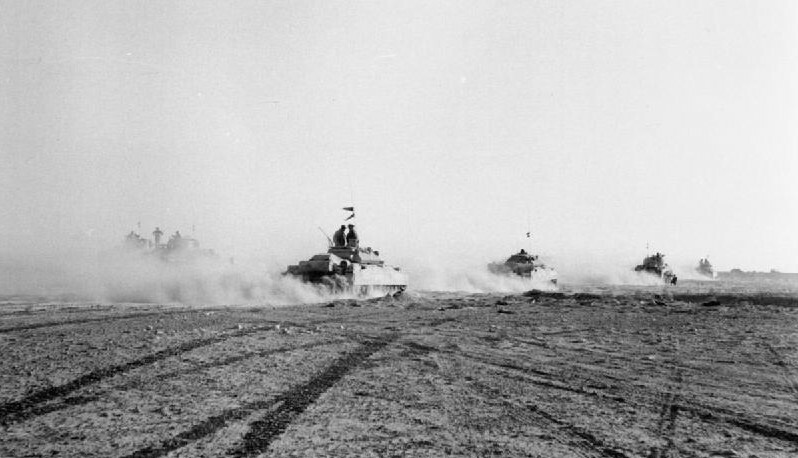 This week in the war, on 23 October 1942, Montgomery launched the offensive that would be known as the Battle of El Alamein. Much of what transpired is described in Richard Doherty’s The Sound of History—El Alamein 1942 (Spellmount, Staplehurst, 2002) and in Montgomery’s own memoirs, The Memoirs of Field-Marshal Montgomery (Collins, London, 1958). 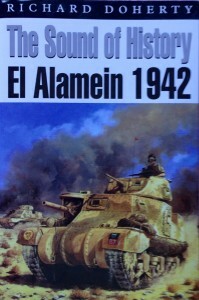 Victory for the British and British Empire and Commonwealth forces at El Alamein would lead to the eventual expulsion of all Axis armies from North Africa. The battle lasted until 4 November, when the British armoured car regiments burst through enemy lines at dawn and the tanks followed the armoured cars out into the open desert where they could harass the supply lines of the retreating enemy. Many of the Italian division could do little else but surrender, since the Germans had taken all of their motorized transport. This entry was posted in World War II and tagged Afrika Korps, Egypt, El Alamein, Montgomery, Richard Doherty, Rommel. Bookmark the permalink.